This is my husband’s favorite dish. This can be mixed with rice or eaten along with Idli/Dosa/Chappathi. 1. 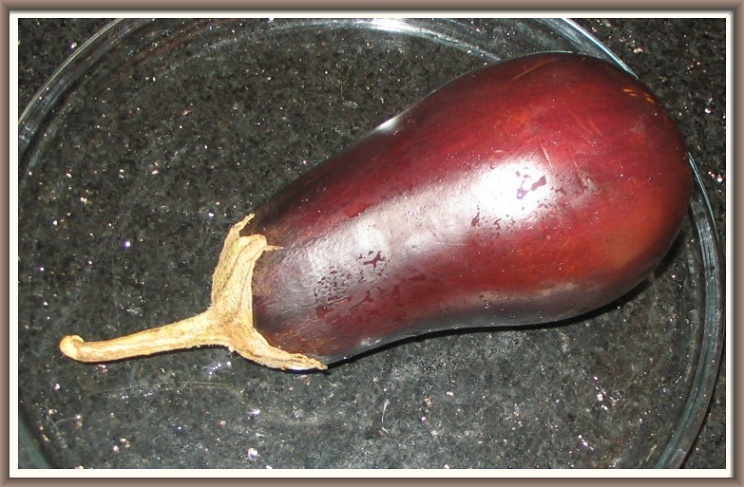 Roast the aubergine on the stove (directly over fire) or in an oven for 8 to 9 min till the skin is ready to peel. 2. 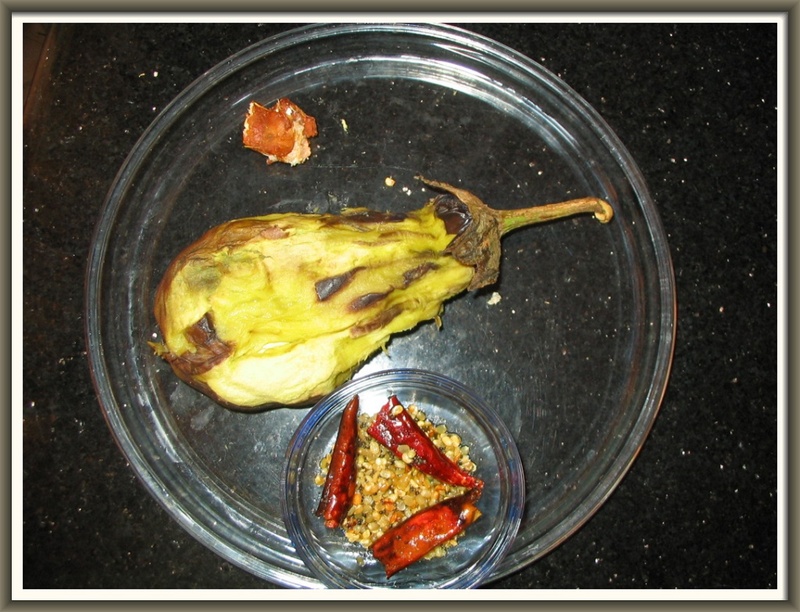 Remove the aubergine and peel the skin. Mash the flesh or cut into 3 slices. 3. Heat the oil in a pan and sautee the mustard seeds, urad dal, dry red chillies and asafoetida for a few seconds. 4. Remove and allow the mixture to cool and grind all the ingredients together. 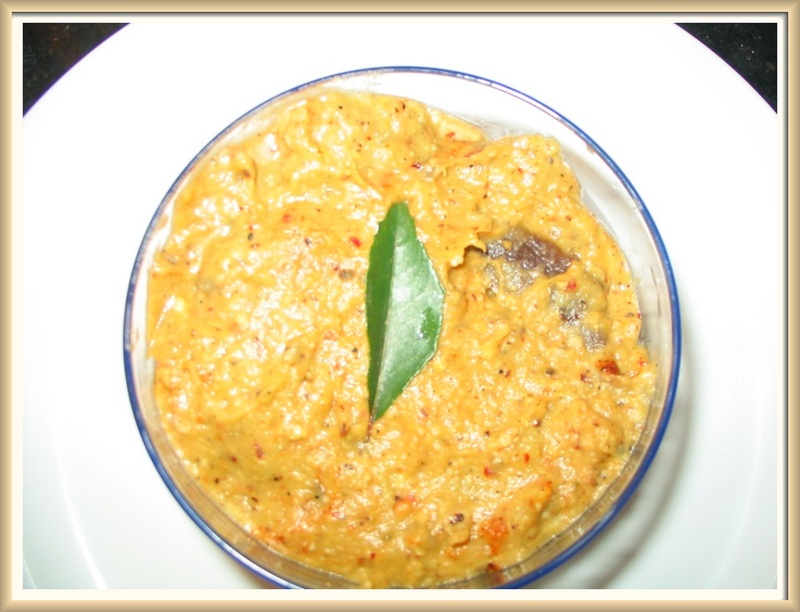 It is always good to add the mashed aubergine and the fried urad dal at the end when you are grinding.